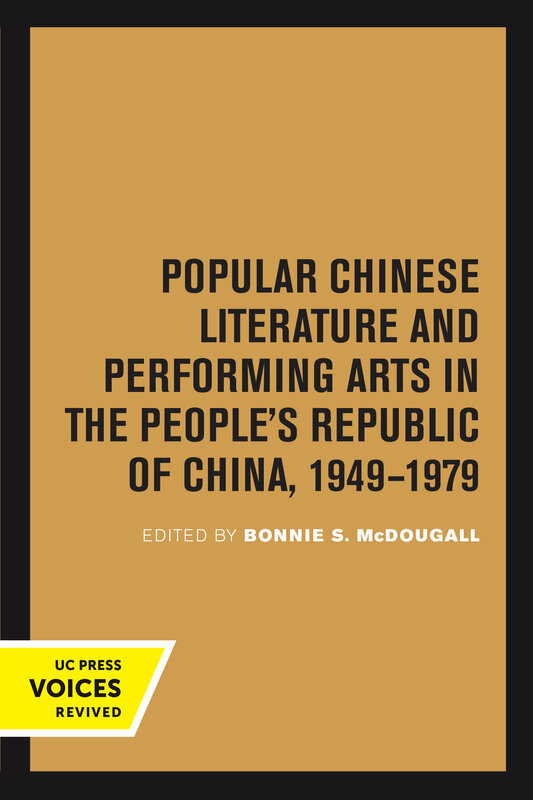 The essays in this volume constitute an exceptionally broad and inclusive account of Chinese literature and performing arts since 1949. 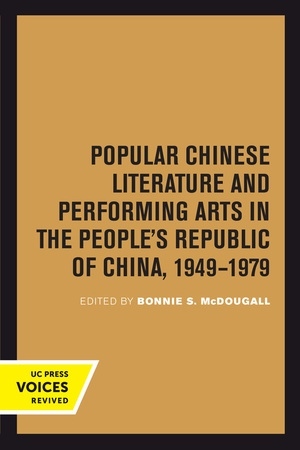 Extending beyond fiction to poetry and drama, and covering song, opera, and film as well, these essays reveal a more lively and varied cultural life than that disclosed by studies confined to fiction and literary politics. Rather than stopping at the assumption that art reflects Party or government policy, the essays uncover the traditional roots of popular literature and performing art by employing literary and artistic methods of analysis. While often lacking in appeal to Western audiences, these popular arts nonetheless have their own artistic validity and convey complex meanings to broadly based Chinese audiences. The materials and analyses presented here have social as well as cultural relevance. Variety and change rather than monolithic uniformity have characterized post-1949 cultural bureaucracies, writers, performers, and audiences. This title is part of UC Press's Voices Revived program, which commemorates University of California Press’s mission to seek out and cultivate the brightest minds and give them voice, reach, and impact. Drawing on a backlist dating to 1893, Voices Revived makes high-quality, peer-reviewed scholarship accessible once again using print-on-demand technology. This title was originally published in 1984. Bonnie S. McDougall is Honorary Associate in the School of Languages and Cultures, University of Sydney.